Find the carpet or flooring you have been looking for. We are the largest flooring dealer in Northern Virginia area. We offer an extensive selection of the latest carpet styles at rates you can afford. 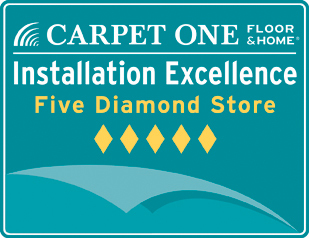 Find just the carpeting and flooring you’re looking for when you visit the showroom at Alexandria Carpet One! We offer an extensive selection of the latest carpet styles at rates you can afford. Whether you prefer a traditional or contemporary aesthetic, Alexandria Carpet One carpet store carries an array of handsome flooring materials. Contact us today to learn more about our monthly and pre-holiday promotions! Don’t settle for just any carpet installer. Alexandria clients know that our flooring showroom is the ultimate destination for all those residential or commercial projects! We carry something to satisfy your unique tastes, offering a spectrum of hues, textures, and designs.